Choosing the right business to carry out your home improvement or windows and doors can take a little time as there are plenty of traders and companies out there ready to do business with. You will also find that there is a lot of competition. You are usually better off choosing a small reliable, trustworthy local window and door company. You will probably find a big difference in the prices window and door companies charge. There is no particular reason for this as most upvc window and door companies buy or manufacture their windows for around the same cost. Some double gazing firms obviously have bigger overheads and advertising and so on. You would probably get better service from a smaller local double glazing company rather than a nationwide operator. 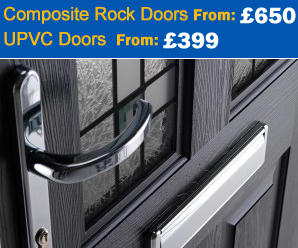 You can do your homework on the various brands of upvc doors, New composite doors, upvc window designs and NEW Rockdoor composite doors on the net quite easily. And find out which is the most stylish, sought after and most energy / heat efficient materials of the moment. Have a clear view of what you want. Do your research online , read articles on home improvement, new windows and doors, replacement fascias and gutters, extensions, conservatories, double glazing installation and repair, and research the particular materials you would prefer. You are going to need at least some knowledge of what’s going on and the cost of certain products if you don’t want to be taken for a ride. .No matter how friendly or trustworthy your tradesmen seem you should always have some kind of written agreement or contract stating clearly the amount of money to be owed at what stage the money be provided and exactly what work is to be carried out over what period of time. This covers both you and the trade from getting wires crossed and making sure there are no added costs and that the job is complete. Always let the company survey who is providing the materials or the installation service. As using your own measurements no matter how good you are at it, you will be liable if something doesn’t fit. A lot of companies will provide an after care service if there is a problem with installation. Then there are some who are notorious for not returning once the money is paid. Take phone details , mobile phone details, addresses , e-mail and any other contact you can get to be reassured that if there is a problem a couple of months down the line ,it will be resolved. It all sounds quite sinister sometimes, but the unknown can cost you money if you don’t know certain important information. That is why it is important not to buy inferior products. Do the background research and use the net to find the info you need pretty easily.